Camp Golden Pond is now taking reservations! 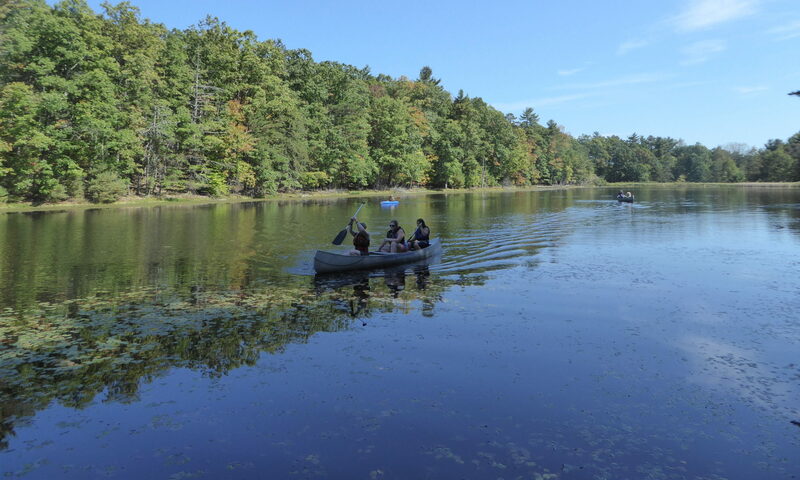 If you troop is looking for a place to camp this summer, be sure to consider Camp Golden Pond as an option. As far as Friends of Golden Pond has come in recent months, they still have a long way to go before the camp is secured. You can read their latest update here. 256 scouts from 25 troops gathered for World Thinking Day to represent 20 countries from around the world. Troops greeted each other in the language for the country they researched, sampled food, and learned about people from all around the world. Are we ready for Cookie Booth Season? Parents (and girls) should check out Girl Scout’s new PSA about the benefits of selling cookies and then scroll further down the page to read about the skills girls take away from selling cookies. I personally am amazed at the confidence my troop has built over the years. Troop Cookie Liaisons are encouraged to check out our Cookie Booth Predictor before a booth to see what they may need and upload their numbers after a cookie booth is completed. We try our best to keep communication flowing. All events are posted on the www.statecollegegirlscouts.org/ website as soon as we are able to put them up. I encourage you to check this website on a regular basis. Most events can be attended without a troop provided a parent also attends. We also post events on the public State College Girl Scouts Facebook page to share with your friends, families, and troop members. Lastly we have a Service Unit Facebook group to give parents/leaders a chance to communicate among each other and ask questions. Any troop leader can create an event on the Service Unit site – contact Megan if you need help. Our Service Unit Leadership are all volunteers. Many are Troop Leaders who want to see programming in our community. Many of the events have been the brain-child of a leader or parent who has thought wouldn’t it be great if we did … If there is an event you’d like to see let us know and we will assist you in organizing it. Thank you to all the Parents/Leaders who have volunteered to step up to help fill the gaps in our Service Unit Leadership as older leadership aged out last year. We are still in need of assistance filling several roles. Let us know if you have a volunteer who is interested in joining our Service Unit Team. And on that subject. Do you love Camporees? Do your girls love camporees? Do you have a skill you would love to teach the girls? We need assistance in planning and executing future Camporees. You can help with one or all. Contact us here to volunteer.